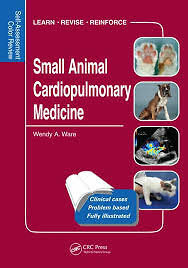 The book presents a wide variety of cases involving cardiothoracic diseases, mainly focusing on the causes of respiratory distress and other clinical signs that relate to lower respiratory, cardiac or other intrathoracic disorders. Many cases in the book involve common diseases and focus on diagnosis and management, but some more unusual and challenging cases are also featured. The 218 cases comprising questions, illustrations and detailed explanatory answers appear randomly to reflect real life practice, and are designed not only to test the ability of the reader but also to educate and inform. This Self-Assessment Color Review is of value to all veterinary practitioners with an interest in canine and feline cardiothoracic diseases who wish to reinforce their clinical skills, to those veterinarians and veterinary nurses/technicians preparing for higher qualifications and to veterinary students as an aid to learning and revision.